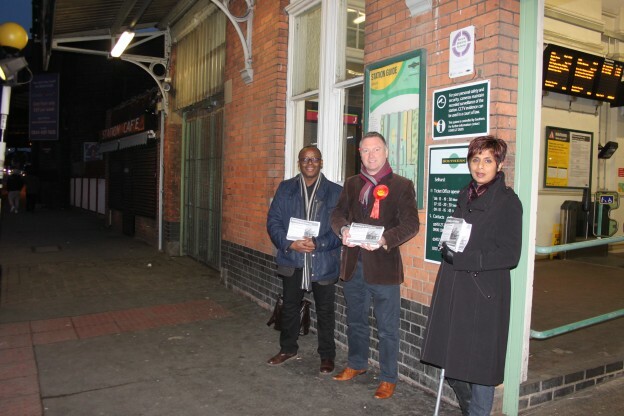 Labour’s Steve Reed MP and London Assembly candidate, Marina Ahmad have called on London Mayor Boris Johnson to think again over plans to close ticket offices at Norbury, Thornton Heath and Selhurst train stations. During the consultation, the Labour campaigners have met residents at station entrances. They heard passengers’ concerns that ticket office closures would mean fewer people on hand to help passengers and a higher risk of crime in unsupervised stations. Please take part in the consultation, by clicking here and signing the email to let TfL and Southern know that you want to keep the local offices open.